I've been wanting to tell you all about my Pinterest strategy for a while, and I'm so excited because I'm finally getting to it. Creating a solid Pinterest strategy is so incredibly important to building an online business these days. The two go hand-in-hand, and you really can't (shouldn't!) have one without the other. In fact, after setting up my Pinterest account and implementing my strategy, my traffic skyrocketed from basically nothing to about 500 visitors per day in just a few months. Crazy! I was also able to use this traffic to start building myself a solid email list. And as you might know, an email list is absolutely essential to making a living from your blog or website. 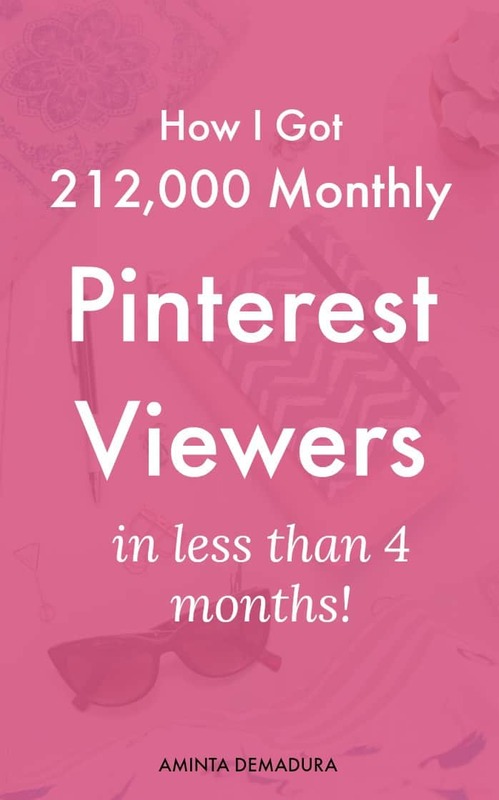 At the time of this writing, I’m currently receiving more than 270,000 viewers on Pinterest every month. So now that you understand how important it is to be on Pinterest, I'm going to show you the top ten pieces of my Pinterest strategy that I use to grow my traffic, build my brand, and earn income from my blog. 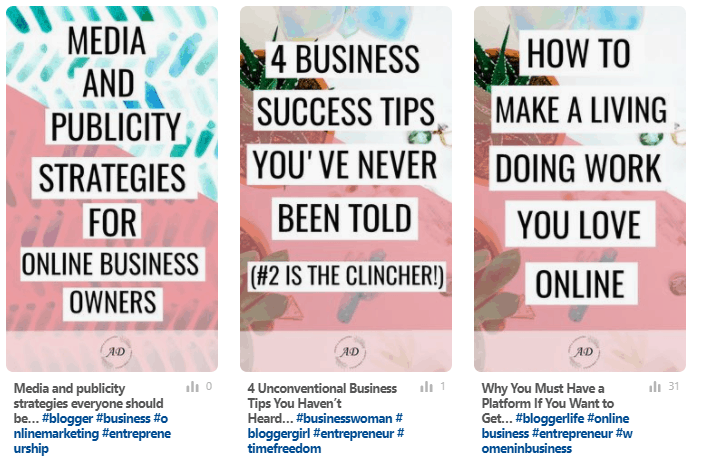 One of one of the first things I did after setting up my Pinterest business profile was create boards on different topics that my blog and business covers. 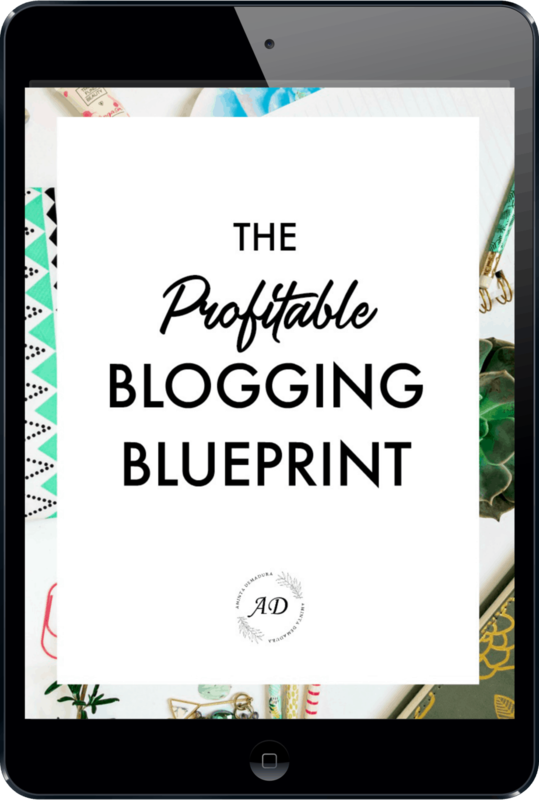 I included everything from blogging tips to email marketing strategies to boards for financial independence and entrepreneurship. Doing this created an array of resources for people who come across my profile to check out and learn from. Even more importantly, I made sure to privatize any boards that didn't have anything to do with my business. For example, I have boards for baking tips, design tips, and another on food in general. These topics don't have anything to do with my business however, and I recognize that it's important not to dilute my brand by including them. The solution? I went into the settings for each of these boards and turned them on “secret mode”. This way, only I can see my personal boards and everyone else only sees my business related boards. When you look at the boards section of my profile, do you see how each of my boards has an attractive cover with the name of the board written on it? Those are cover board images, and I created them to provide a cohesive, on-brand look for my Pinterest profile. A well branded cover board scheme will go a long way in helping your Pinterest profile stand apart from the hundreds or thousands of others in your niche. And the best thing? They're super easy to create! All you need to do is create a square image of about 700 x 700 pixels and upload it to your board. Then go into the board settings, and where you see the cover board section toggle to the right until you see that new image. Remember that you may need to refresh the page after uploading the new cover board image to see it in the viewfinder! I created my cover board template in PicMonkey Hub, where I store all of my templates, and then had my wonderful assistant create the rest and upload them for me. Here's something about Pinterest you may not know. Pinterest isn't actually a social media platform. In fact, it operates like a search engine! Pinterest is a visually based search engine that helps people find pins based on the keywords they type into the search bar. Given that, you can imagine how important it is to include keywords and hashtags into your pin descriptions to help them be found. Without a keyword rich description, no one will see your pins when searching on Pinterest. Bummer, I know. So, I regularly keep note of great hashtags that are being used in my niche as well as keywords that people are searching for, and then add them to my pin descriptions when I upload them. If you've been on Pinterest at least once, you probably know how important it is to use vertical pins. Horizontal pins simply don't stand out when you are scrolling through a sea of long vertical pins. Even more importantly, I create pins that are attractive and full of color. The truth is that you only have a fraction of a second to catch someone's eye as they're scrolling through, so you need to make it count. Professionally designed, bright and eye-catching pins get re-pinned far more than others. I've gone through a couple of pin styles since I got started, and I've finally settled on one that works well for me and my brand. Lesson learned: Don’t be afraid to try a few styles and see what works! That being said, make sure that your pin style is original! Copying someone else will not only make your business a “me too” that goes nowhere, you could also be hit with a DMCA takedown notice for copyright infringement if you rip off someone else's pin template. One great way to make sure that your pin is original? Use some amazing stock images and branded fonts from your style guide to help make your pins stand out as one of a kind. How I Get My Flatlay Style Just Right and You Can Too! Okay, so I already mentioned PicMonkey Hub once before. But did I tell you how much time it saves me? 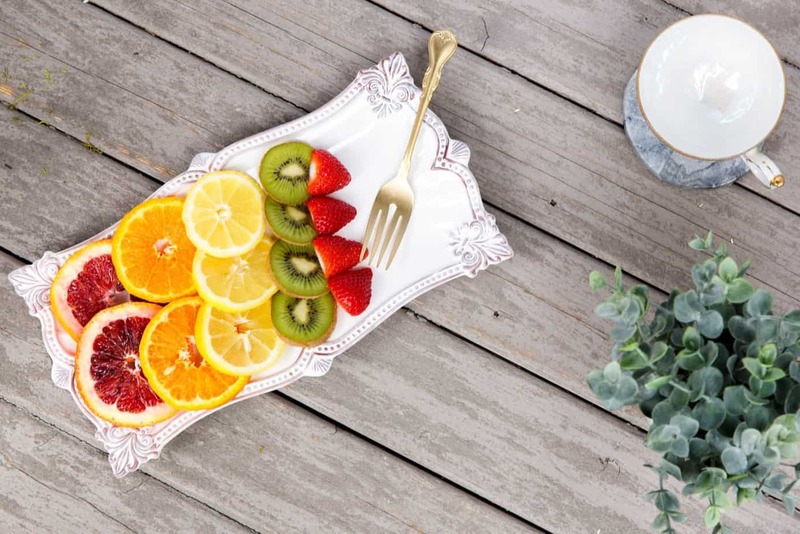 PicMonkey is a super easy photo editing program that allows you to edit an image, add overlays and text, and do all sorts of adjustments that make for perfect Pinterest pins. For a small monthly fee, you can pay for Hub and save yourself hours of photo editing woes. Hub is essentially your own personal photo editing account where you can save your Picmonkey images in their editable format and be able to come back to them later and continue editing. I now store 4 to 5 pin templates in PicMonkey Hub so that creating a new pin is as simple as changing the text on a template. 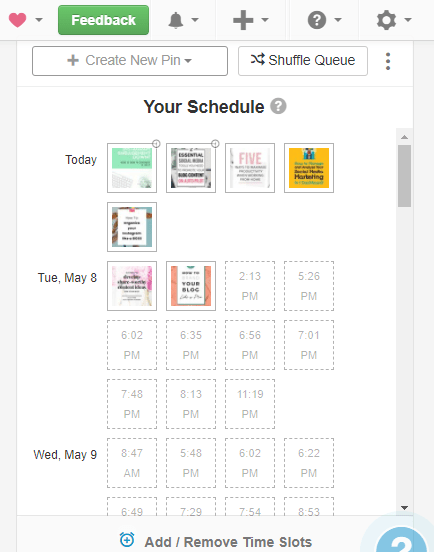 This makes it super easy for me to give my pin information to my assistant and have her create my Pinterest pins while I work on other business matters. Want to get to the real meat of my traffic boom? This is it. I post at least one of my pins to all of my group boards everyday. Let me just say that becoming a contributor on popular and relevant group boards has been an absolute game-changer in regards to my traffic. If you've been living under a Pinterest rock lately and don't know what group are boards are, let me explain. Group boards are essentially groups of contributors who all post their content to one board. The board usually has a theme (such as blogging or baking or gardening), and I really recommend only sticking to themes that are relative to your business. So if you look at my profile, you will see that I'm part of a large number of boards based on money, online business, and entrepreneurship. But here's where it gets good. For every pin of your own that you post to a group board, you must also repin one or two pins that belong to someone else. This is how group boards become an amazing way for your pin to spread around the internet. When you get a few hundred people all repinning whichever pins are uploaded to the group board, your pin can instantly be repinned to dozens of other people's boards and spread from there. This is why you must, must, MUST join some great group boards if you want to gain traffic and spread your work. The next thing I do each day is pin my pins to Tailwind Tribes. Tribes are basically the same thing as group boards, except they’re hosted by Tailwind. Since I already use Tailwind for its scheduling features, it only makes sense to take advantage of the five free Tailwind Tribes accounts that they include in your subscription. Posting content to Tailwind Tribes is another great way to spread your content far and wide and receive lots of traffic. In Pinterest’s eyes, one sign of a healthy profile is one that is active. Pinterest generally wants to see you repin 30-50 pins to your group boards each day. On top of that, there are specific times of the day that are better than others for repinning. Sounds like a headache, right? And since it would basically take up my entire day to try to do that manually, I use the Tailwind scheduler to send out my pins automatically. It's easy! I did this myself for months behind for hiring someone else to help me. All I do is load up 20-30 pins into my Tailwind scheduler a couple of times a week. Then Tailwind chooses the best time of day based on their algorithm for pins to be seen, and sends a pin out at each of those times. ​It’s important to keep up with what’s going on in your industry, and one way to do that is to follow other people’s profiles on Pinterest who have high quality boards and relevant pins. If I come across someone who meets these criteria, I try to follow their account so that I see more of their pins. This is another way to ensure that your pins spread. When other people see your high-quality work, they will want to follow you as well. And when they follow you, your pins will appear in their feed more often. Win! ​10. I Created My Own Pinterest Group Board! After a few months of seeing my Pinterest strategy succeeding, I decided to start my own Pinterest group board. Starting my own Pinterest group board has been a great way to connect with other contributors, see their work, and share mine as well. Want to join? You can apply to become a contributor here. Did you find this post helpful? If so, let me know in the comments below which strategy you found most helpful and how you plan to implement it for your site today!